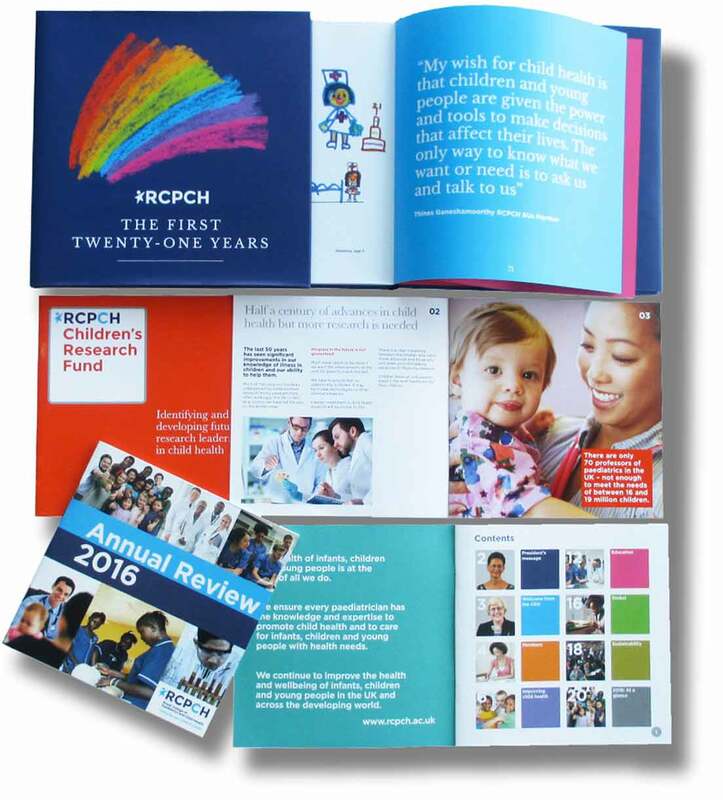 The Royal College of Paediatrics and Child Health (RCPCH) came to Ideology ahead of a major redevelopment of its website. The College wanted some new insights into aspects of its corporate identity which were not working as well as they should. The problems were those common to a lot of organisations: a fussy logo that did not translate well digitally, a proliferation of styles across sub-brands and lacklustre publications. To tackle this, Ideology came up with a strong simplified logo and modular structure that could be easily extended across the brand. Also a bright punchy colour palette and brand styling that would lift the look and feel of the College's printed and digital media. The end result - a brighter more contemporary look to reflect the College and its future work.